The slickest outfits ever to grace an engagement session. Just obsessed with these two! Thankfully, their wedding is only 8 days away. 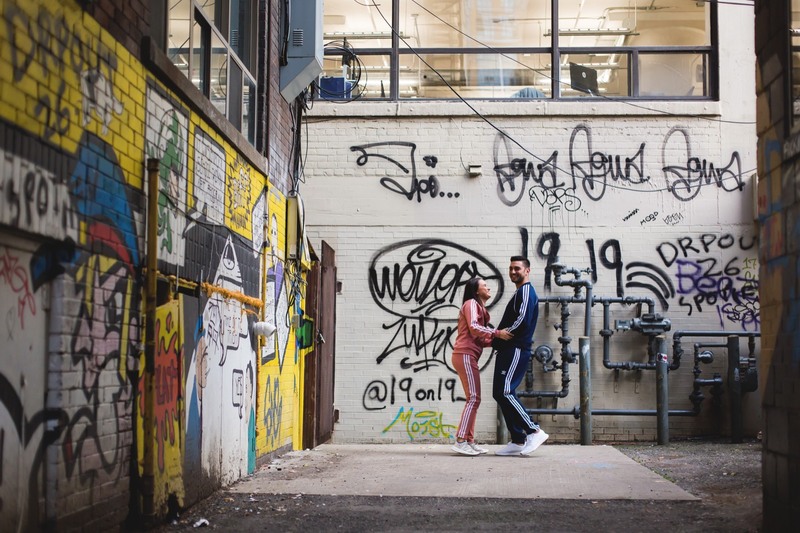 Check out a few faves of all the fun we had hopping around Graffiti Alley!